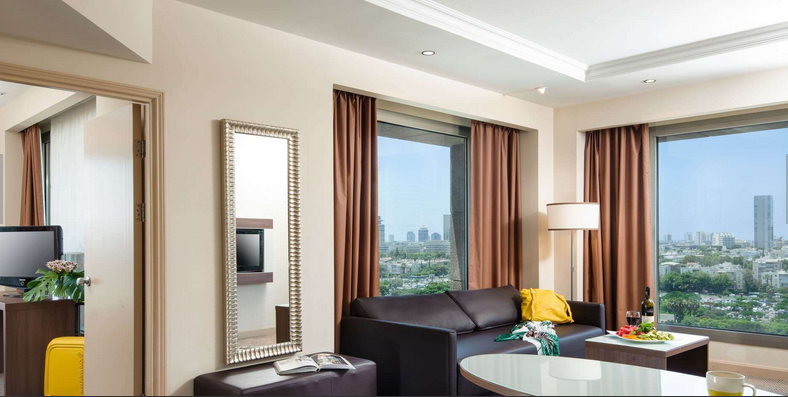 Leonardo City Tower Make your day hotel stay enjoyable and comfortable by booking your day stay at Leonardo City Tower. 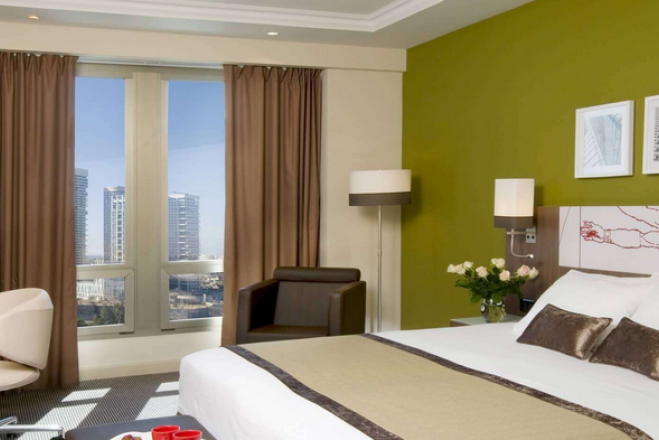 The newly renovated Leonardo City Tower Tel Aviv is a modern day hotel welcoming guests with an outstanding level of comfort. 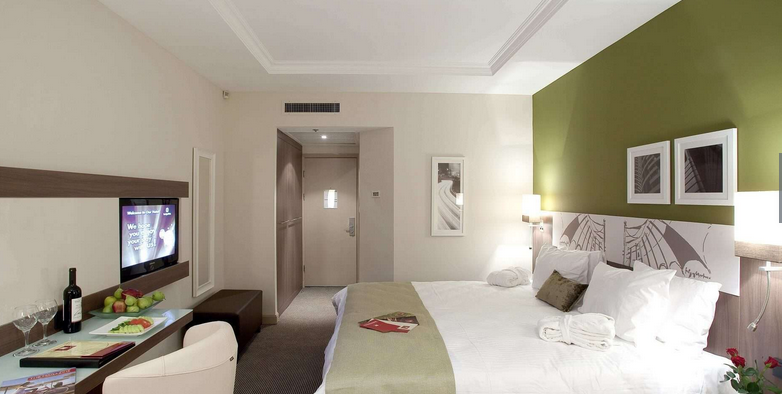 Settled in a prime location, the design property is an ideal resort for leisure and business travellers alike. The day stay hotel features a premier gourmet restaurant that will spoil you with mouth-watering dishes and a welcoming atmosphere. 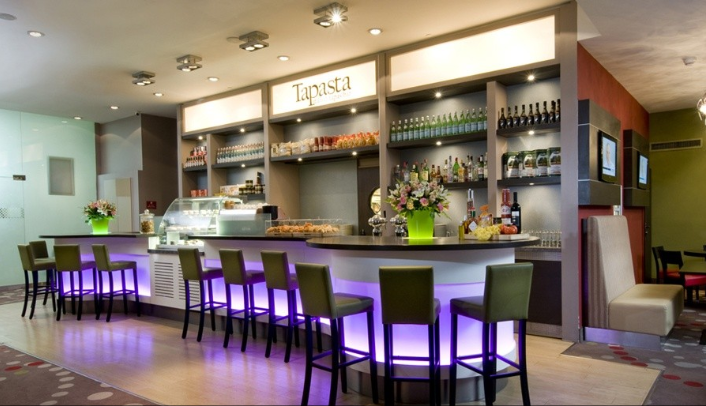 Plus, the on-site lounge offers a nice selection of drinks, refreshments and light meals. 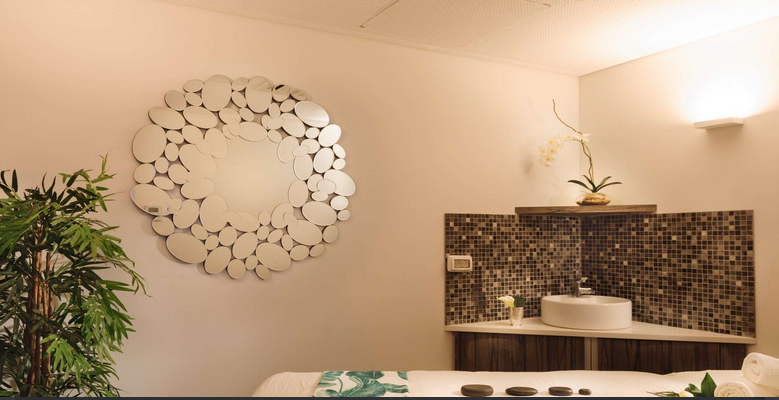 If you need to relax and recharge your batteries, head to the City Tower Spa, where, for a fee, you can experience awesome SPA services like dry and wet sauna, oil baths, and more. 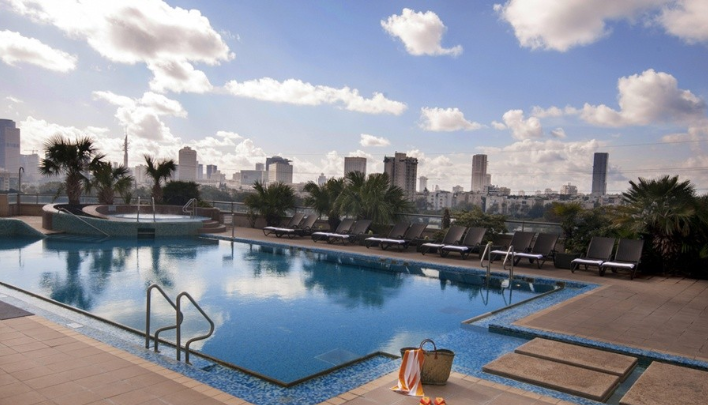 For your well-being, the day use hotel also features a spacious gym and an outdoor swimming pool. 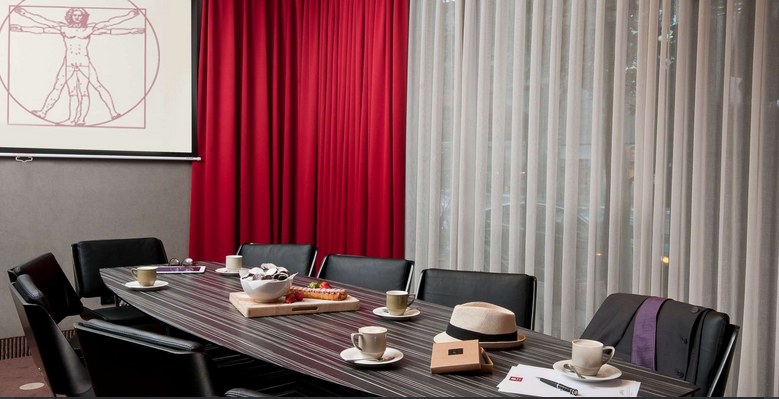 Those who need to get some work done can check out the exclusive, well-equipped business lounge. 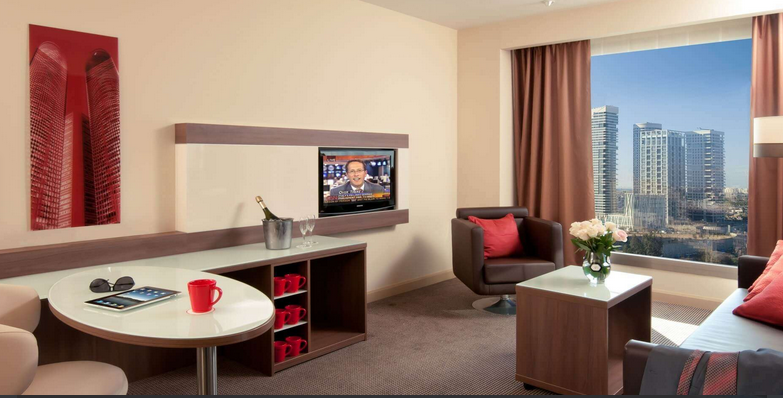 Each lovely private day room comes with amenities like cable TV and complimentary toiletries. 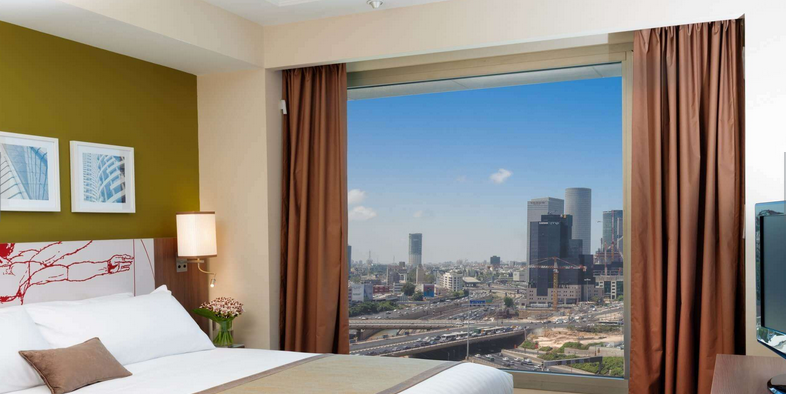 Spend your Tel Aviv daycation at Leonardo City Tower hotel and enjoy a perfect ambiance! Tel Aviv Museum of Art – Home to one of the most comprehensive and largest of all Israeli art collections worldwide, Tel Aviv Museum of Art is a must-see during your trip! Azrieli Shopping Centre – Enjoy a well-deserved shopping session. Azrieli Shopping Centre houses a lot of great stores as well as many dining and entertainment ops. Tel Aviv Beach – Have some fun in the sun! Stretching for miles long, Tel Aviv Beach is a dreamy place, great for relaxation, sunbathing and practicing water sports. 1. 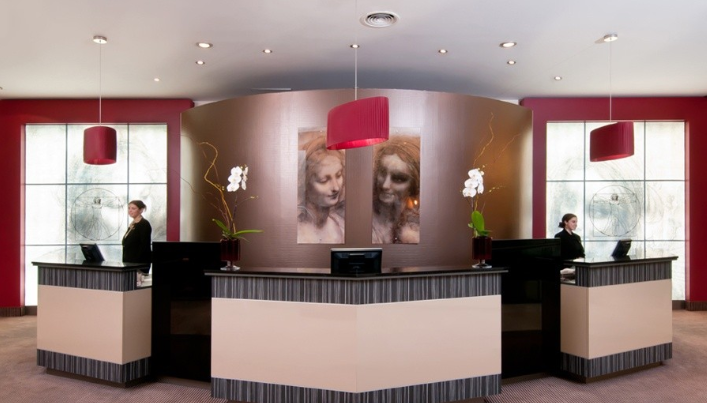 Free, excellent WiFi is available throughout the day booking hotel. 2. Private parking is available on-site for an additional fee. No prior reservation is needed. 3. Airport shuttle service (to and from Ben Gurion Airport) is offered for an additional charge. 4. Guests can make free international calls to 60 countries worldwide.